Talk's cheap. Let's go play. Before each Colts game, our defensive captain gave an impassioned pre-game speech. 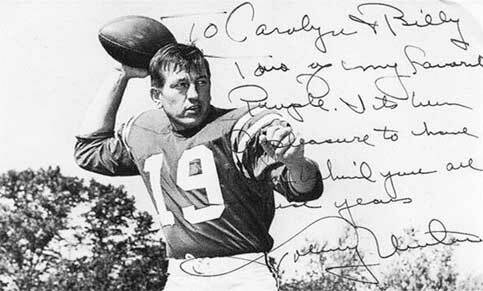 He would then turn to John Unitas and ask, "Johnny, you got anything to say?" From the same spot by the exit door, Unitas deadpanned the same line every single time. "Talk's cheap. Let's go play." Every time.